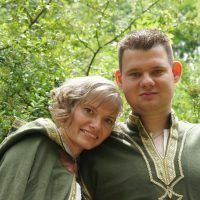 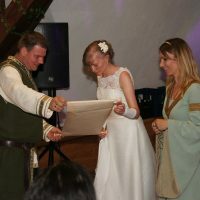 For us from eheleite.com it is a very special event, when a couple from our own ranks dares to close the bond for life – and of course there is a marriage to this occasion! 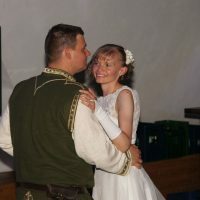 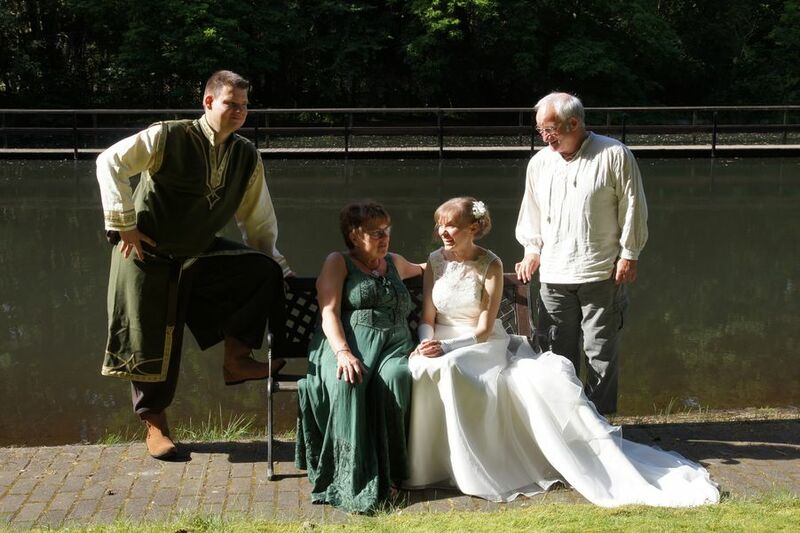 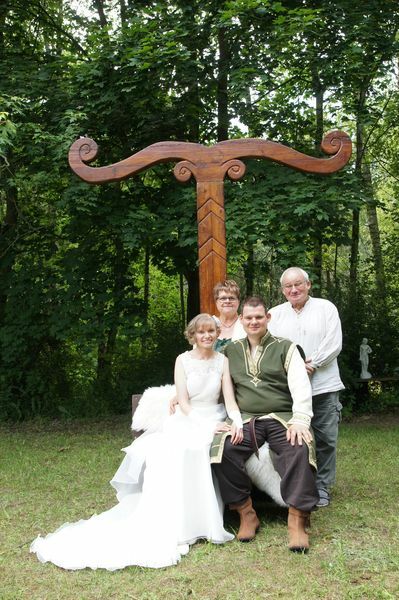 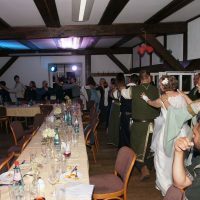 Martin and Doreen celebrate their pagan wedding in the closest family circle and together with their friends from eheleite.com on the day of the summer solstice in the Springbachmühle in Bad Belzig. 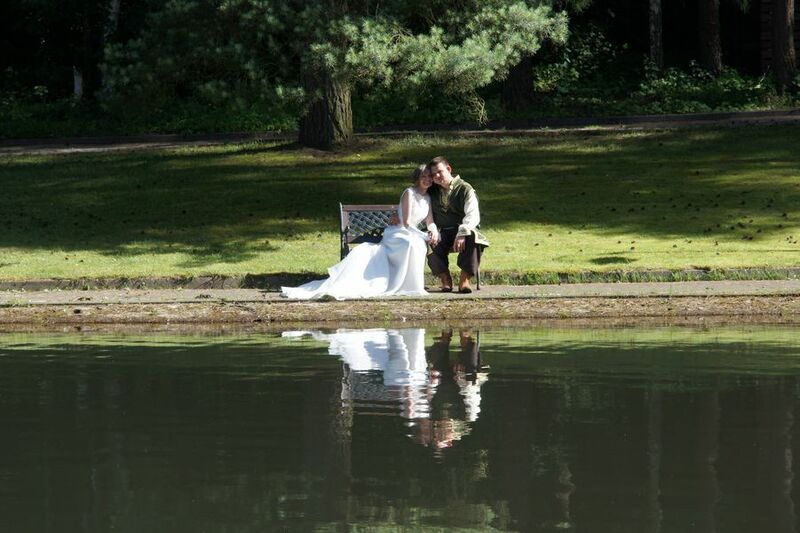 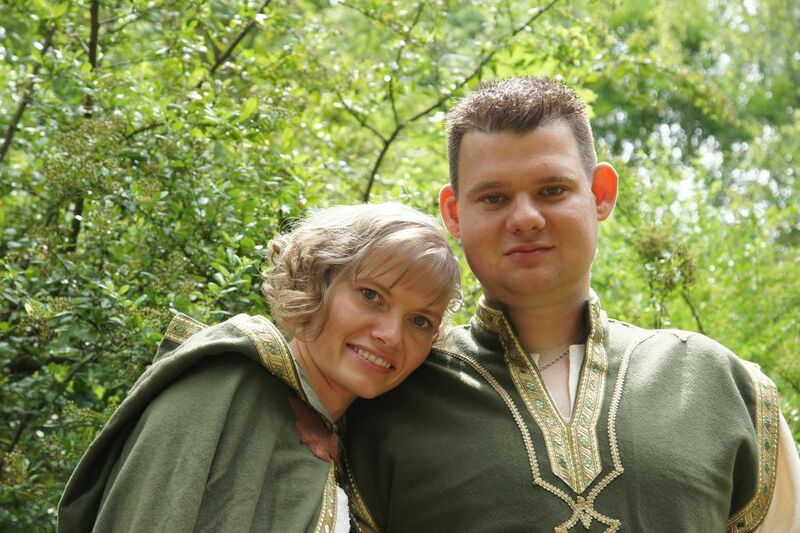 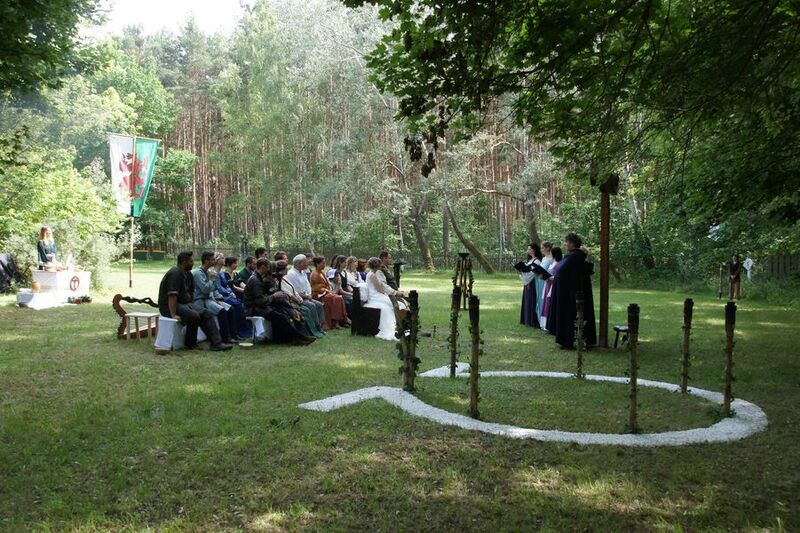 The bridal couple enters the ceremony place in the afternoon of their great day in most beautiful sunshine. 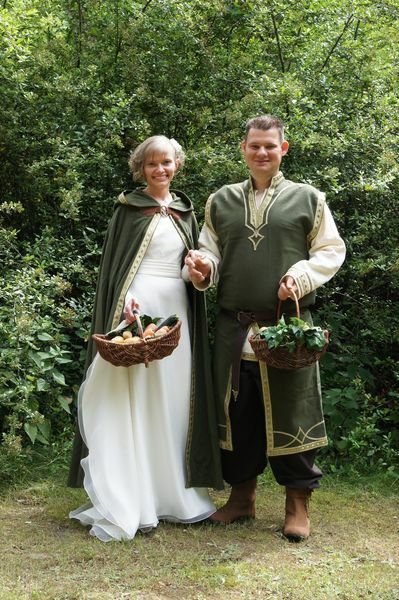 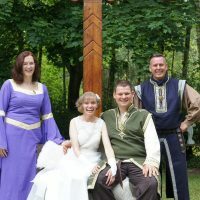 Martin and Doreen give themselves the marriage promise in the bridal temple and step forward to the priests couple, which agrees to the union and gives its blessing. 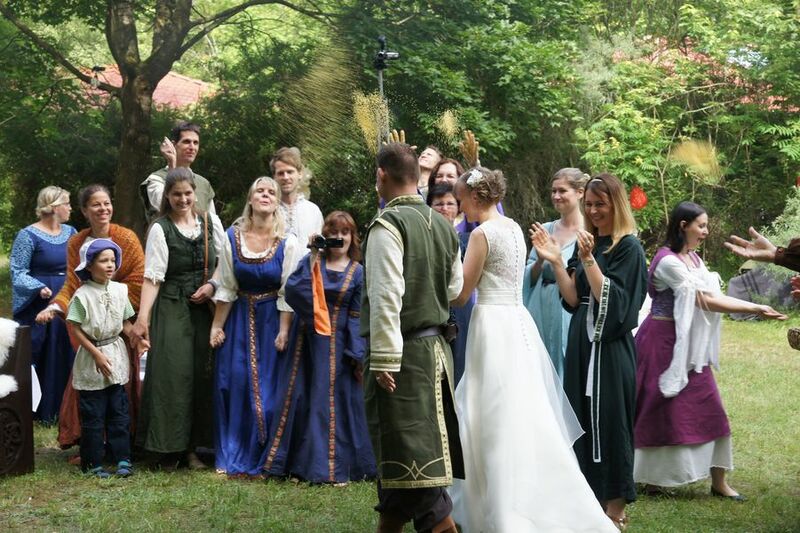 At the end of the ceremony bride and groom are being cheered and pelted with millet in order to wish the newly created union good fortune and wealth for the common future. 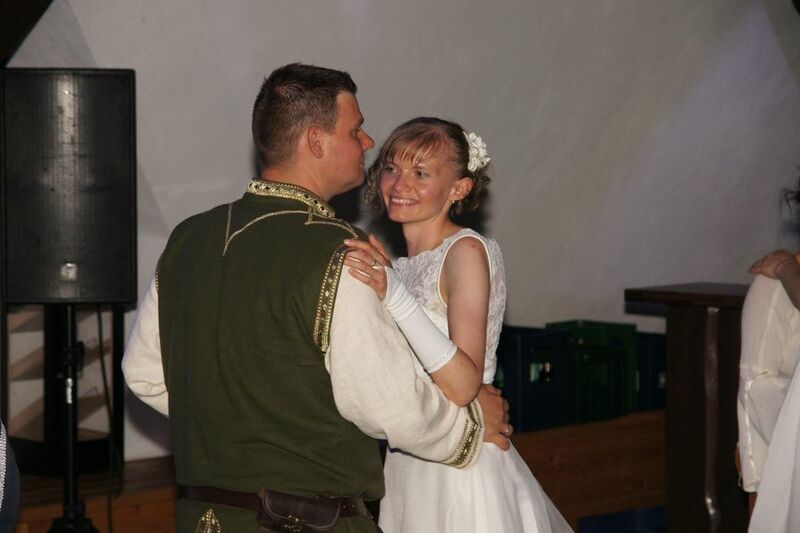 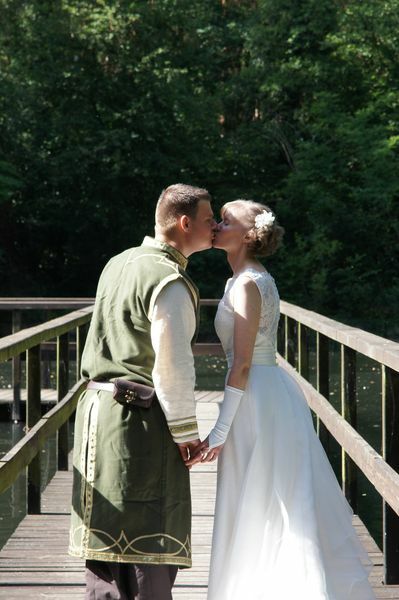 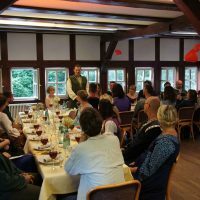 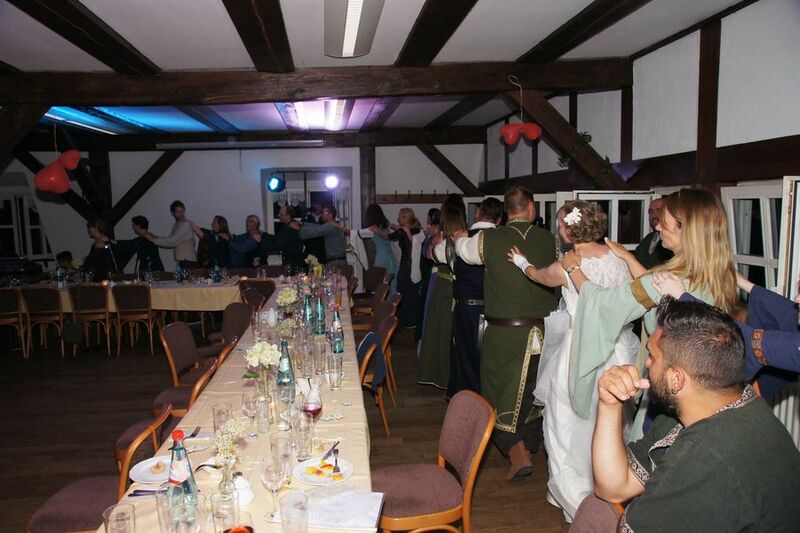 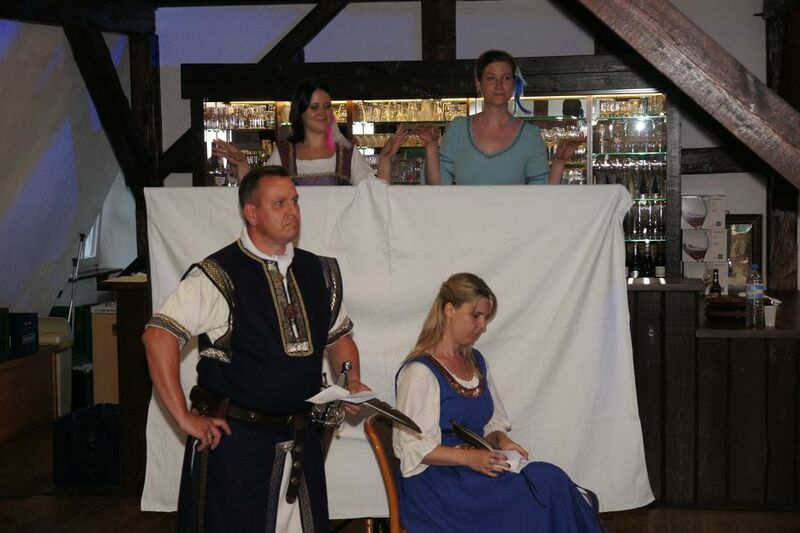 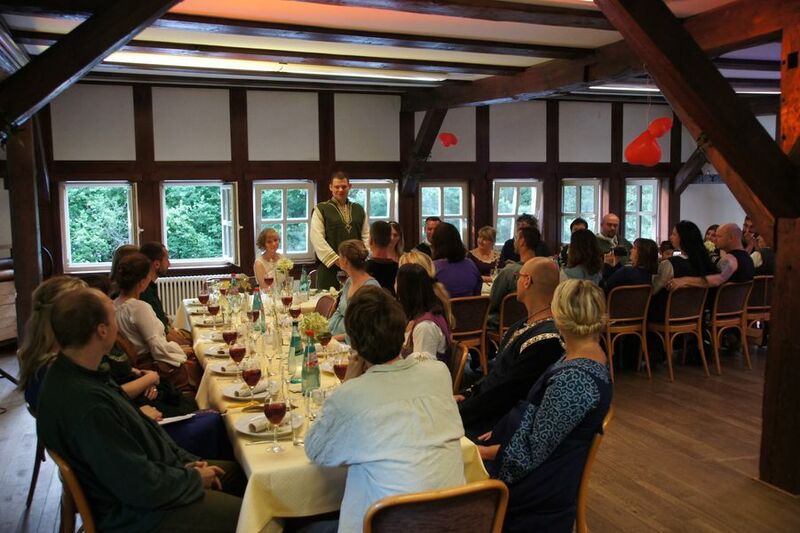 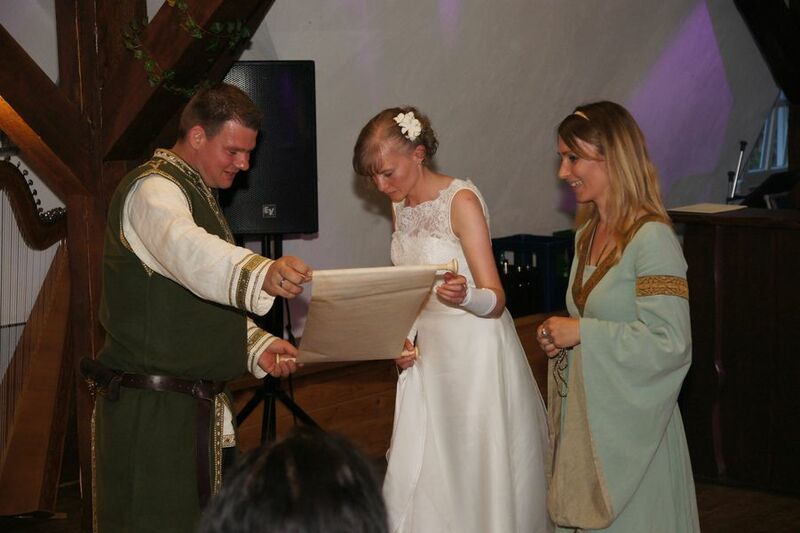 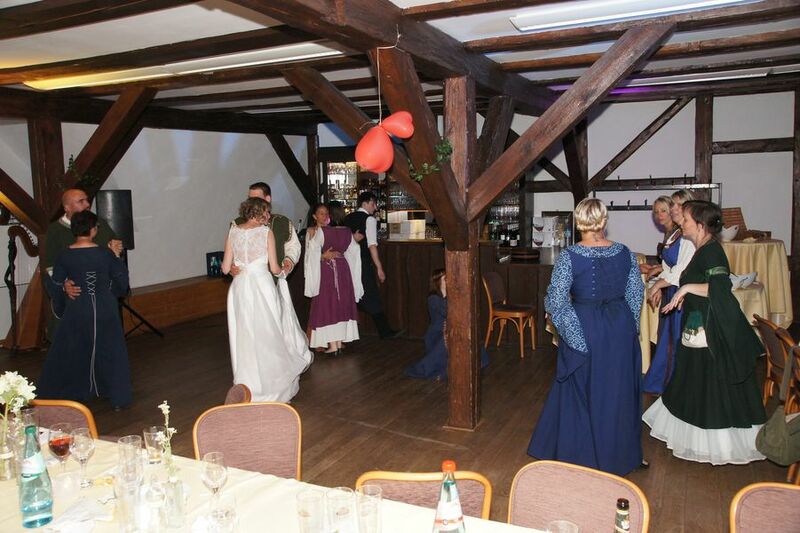 In the evening, the whole wedding party celebrates after a festive dinner in the premises of the Springbachmühle. 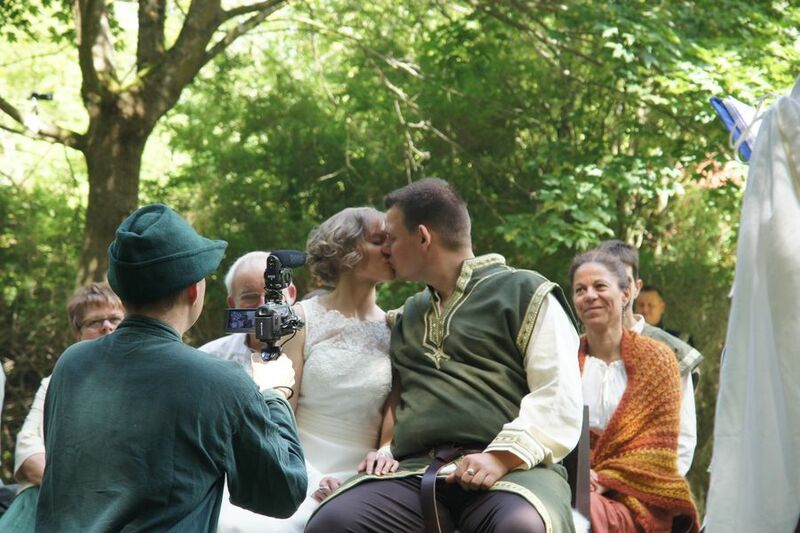 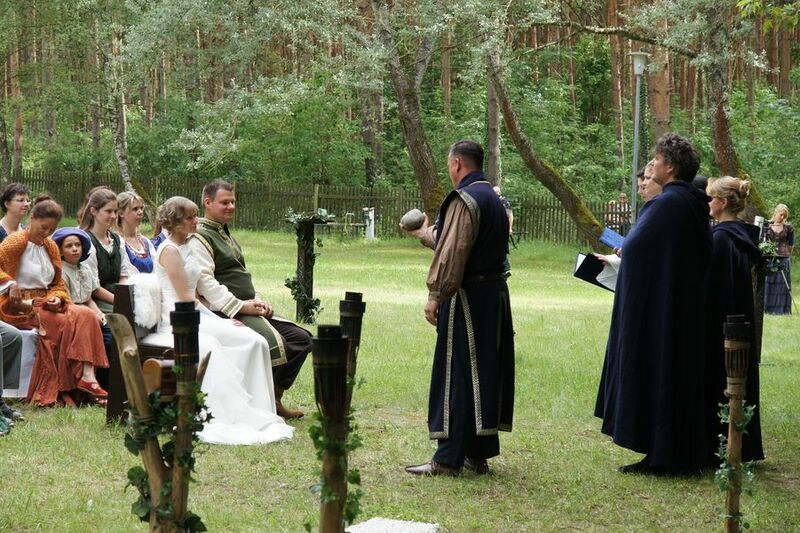 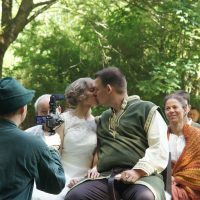 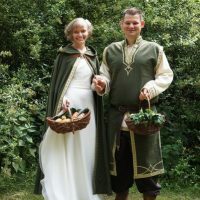 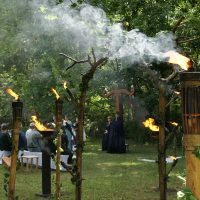 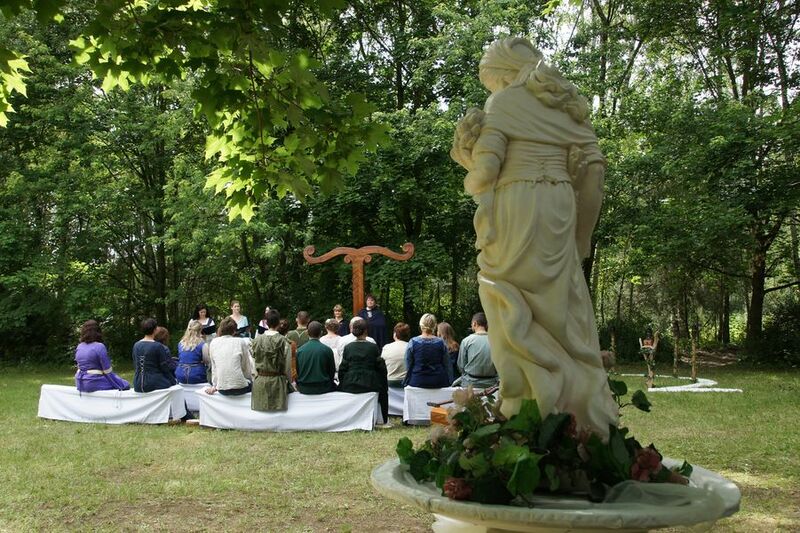 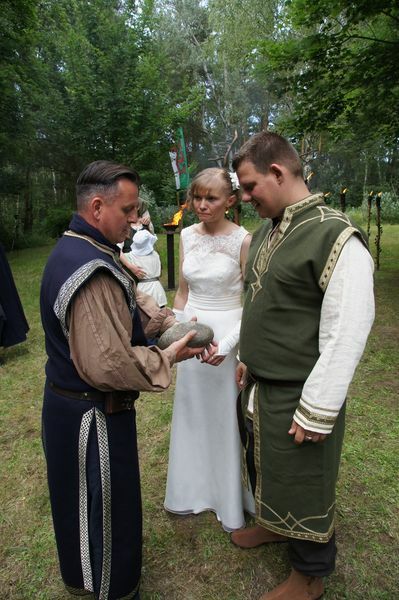 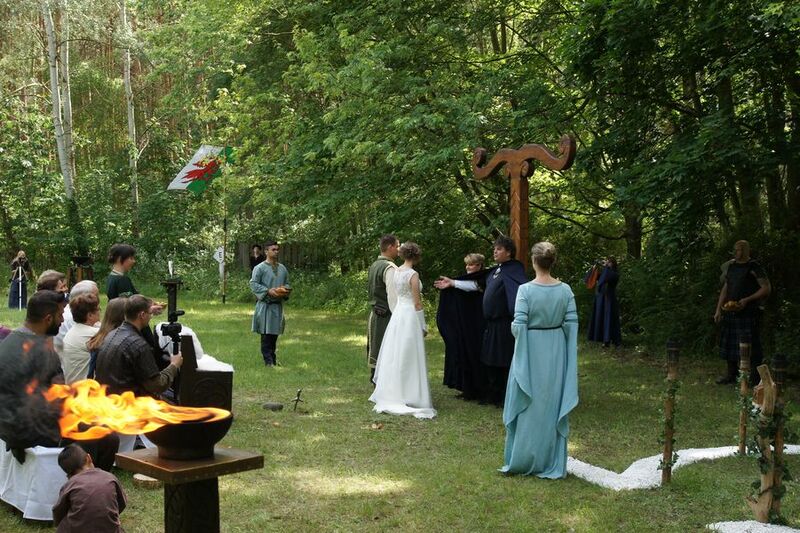 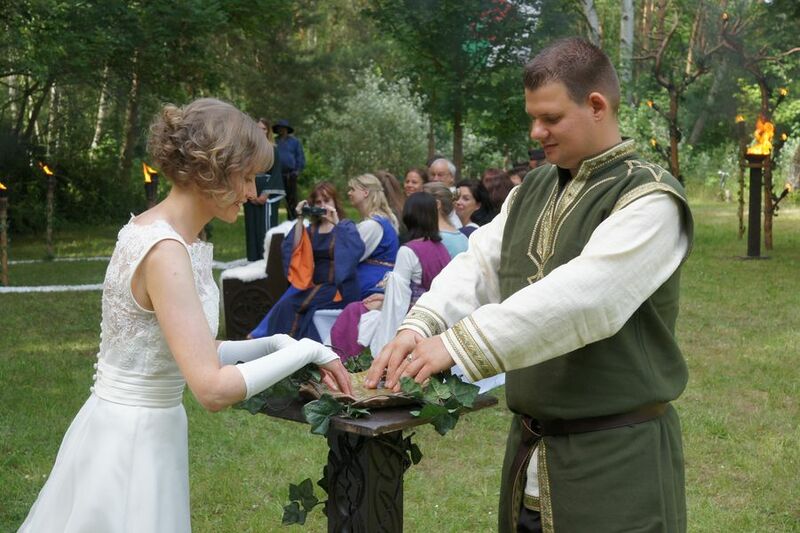 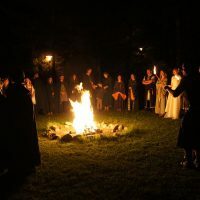 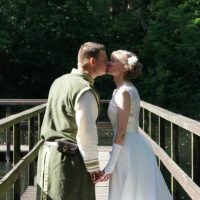 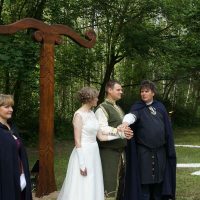 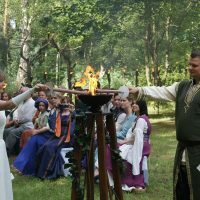 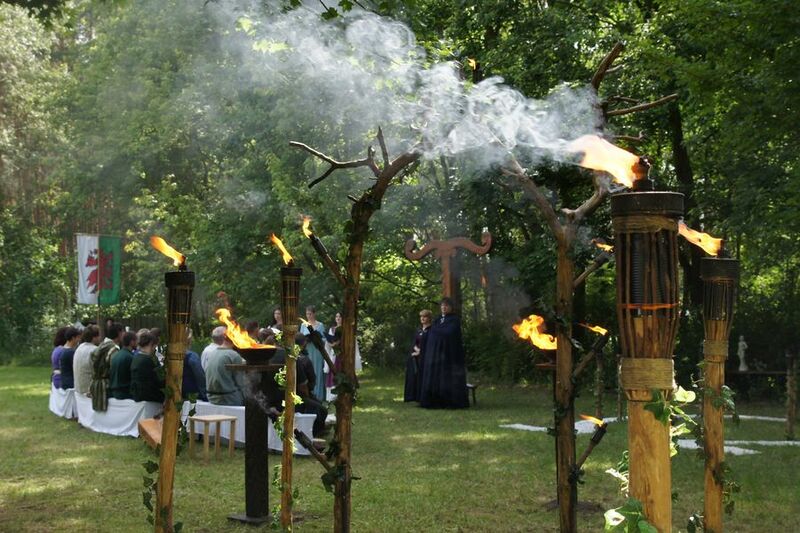 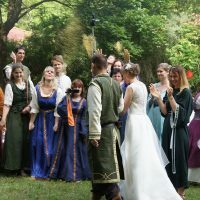 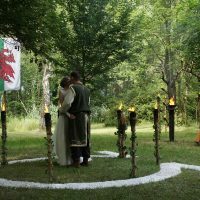 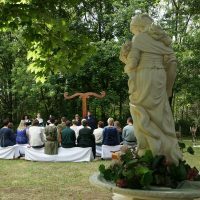 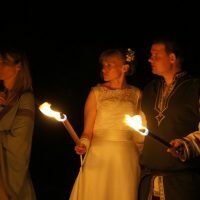 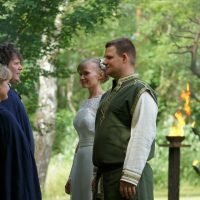 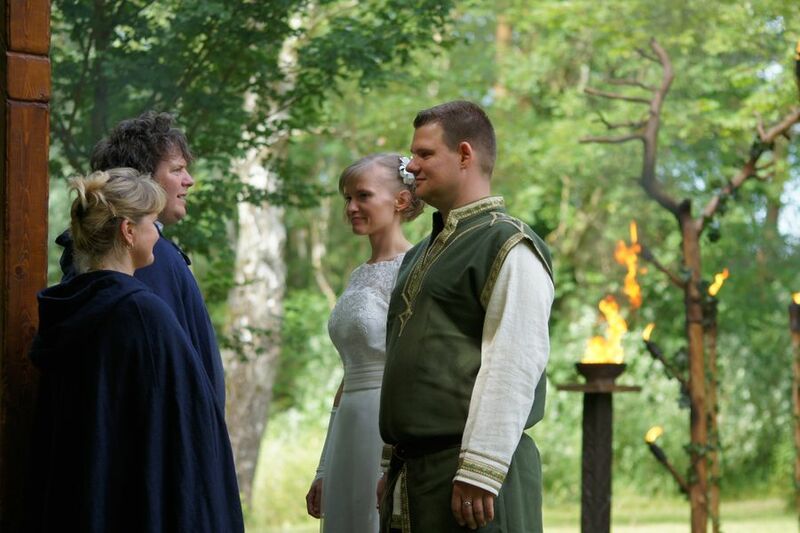 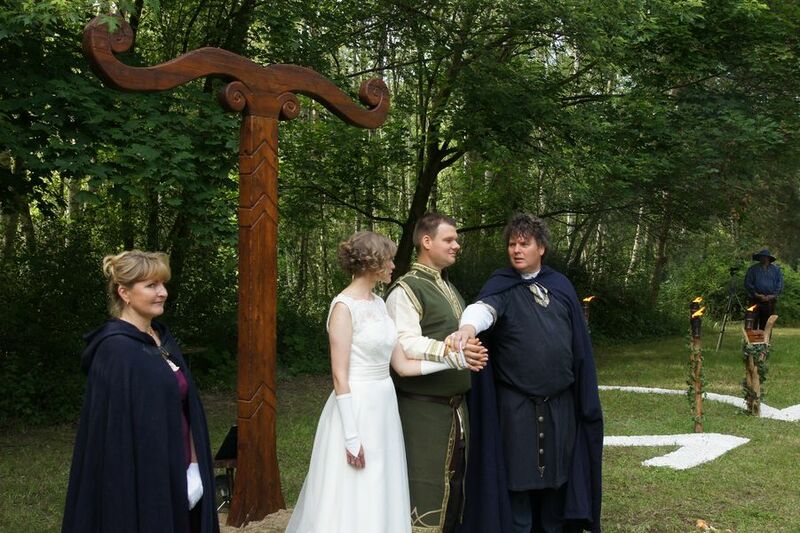 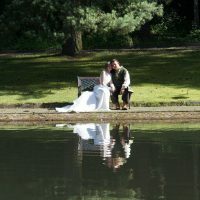 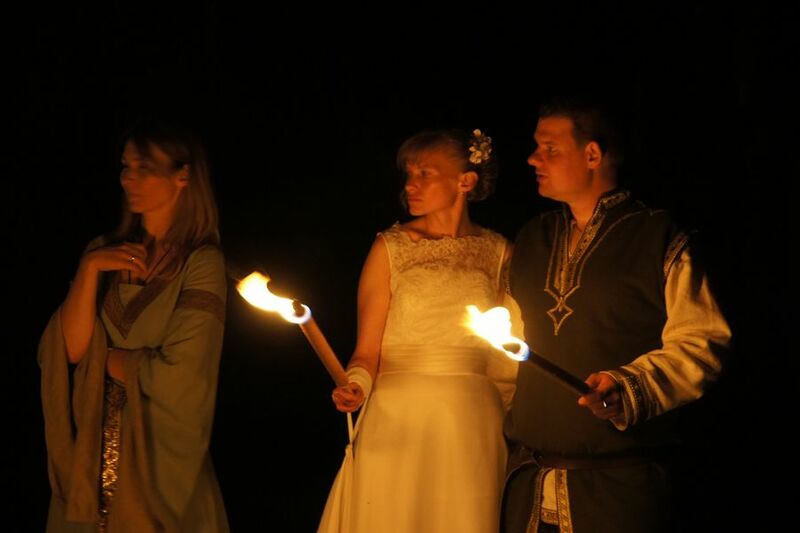 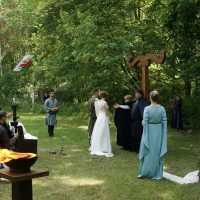 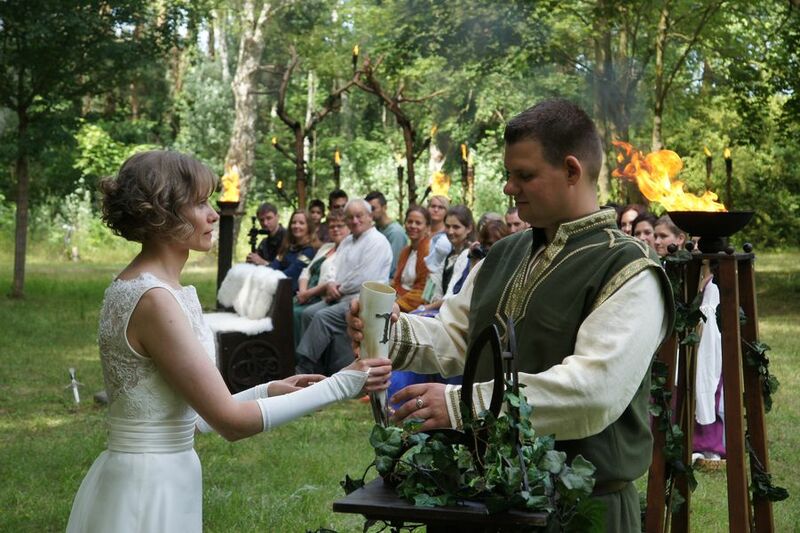 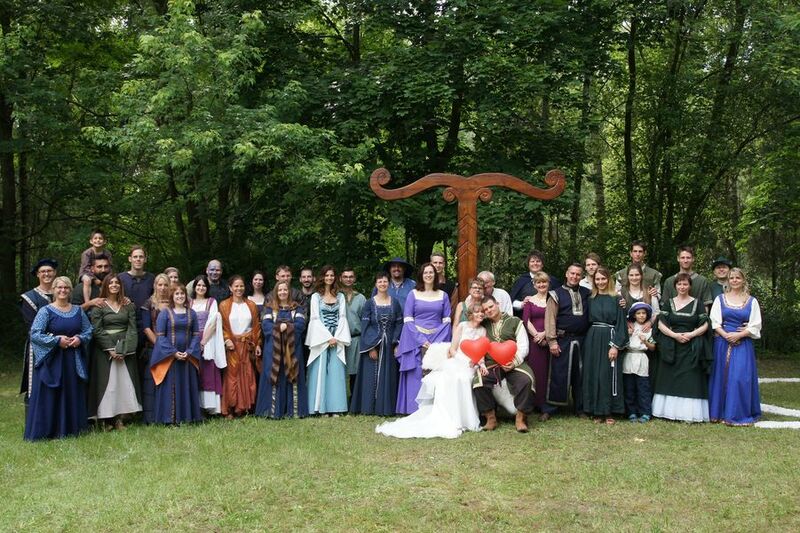 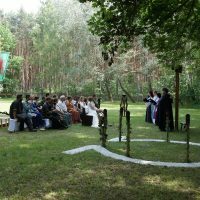 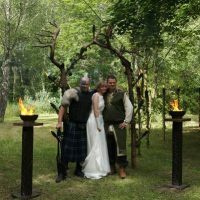 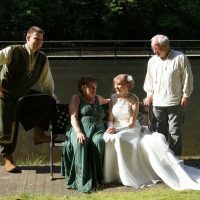 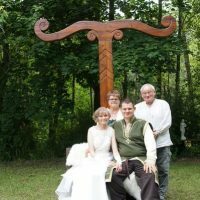 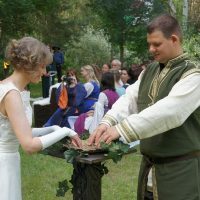 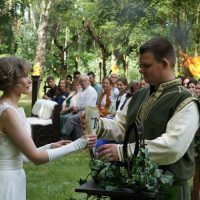 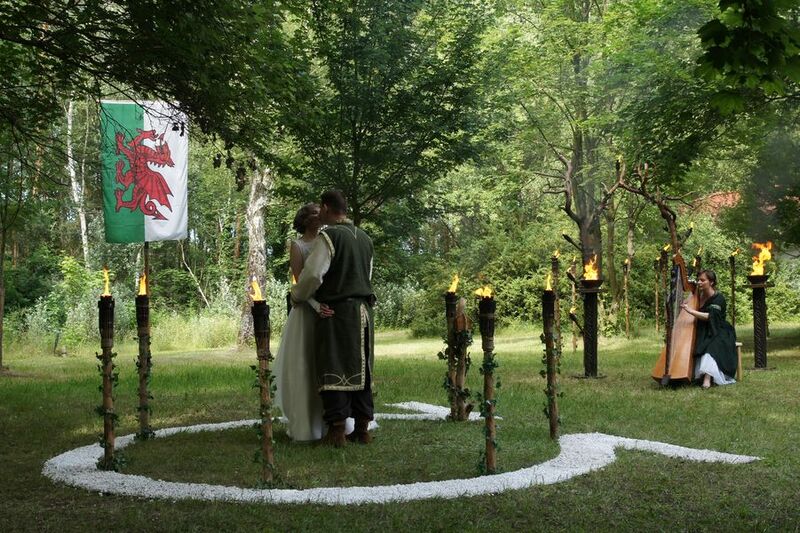 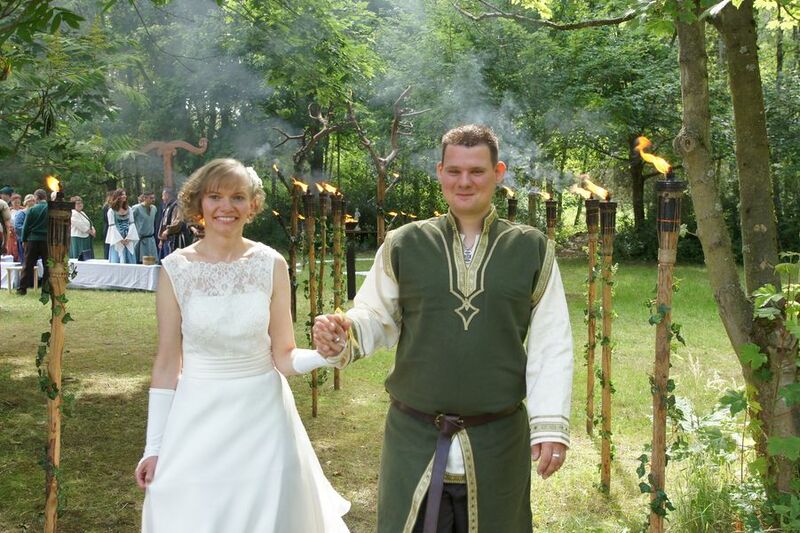 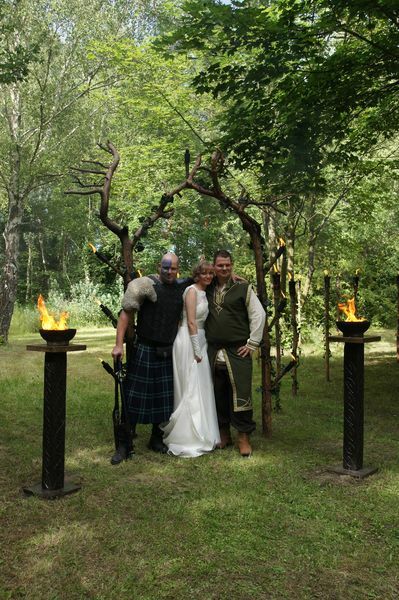 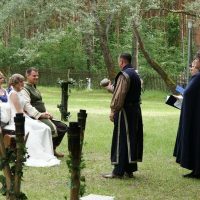 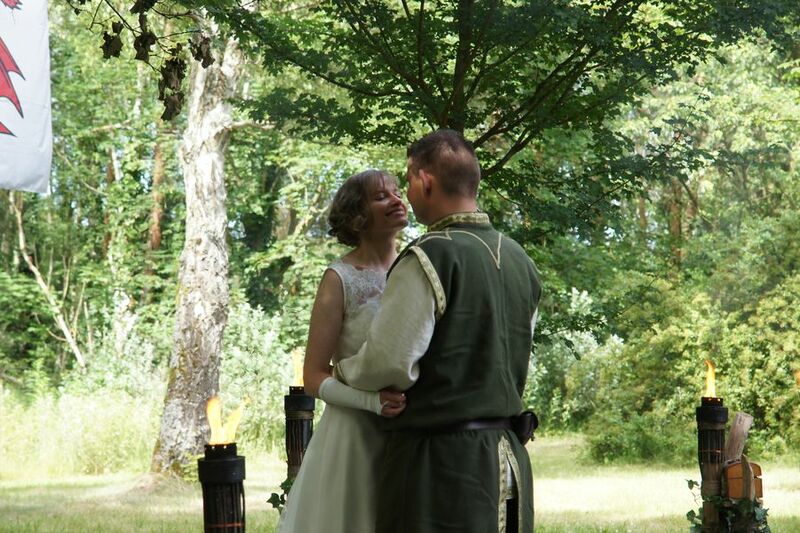 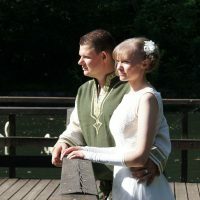 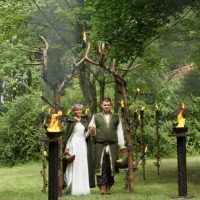 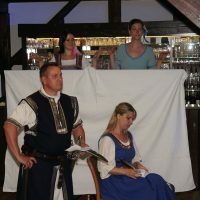 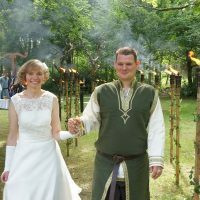 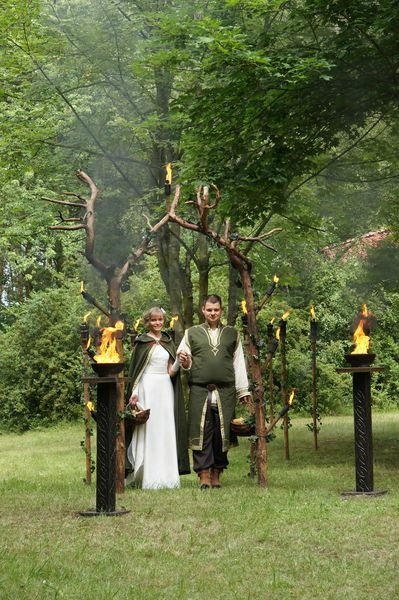 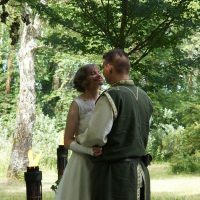 A dignified and harmonious ending finds the wedding ceremony in the evening at the summer solstice fire at the millpond. 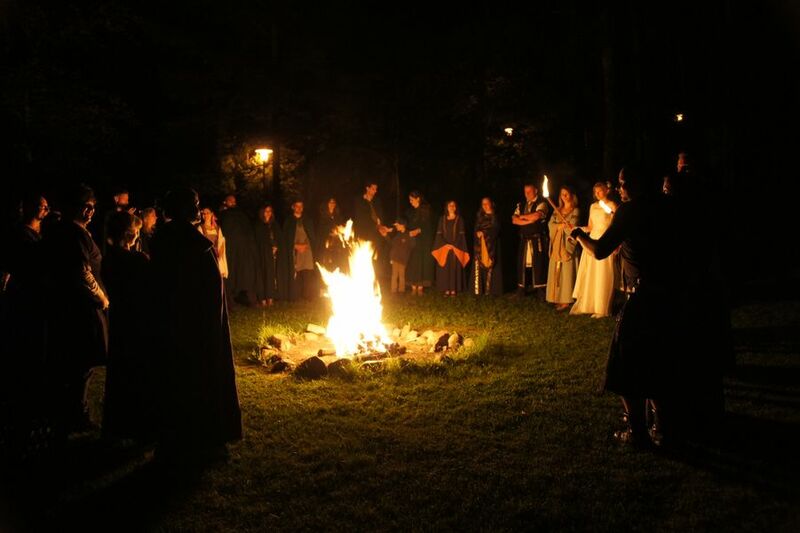 The flames of the fire are reflected by the water, creating a mystical and harmonious atmosphere. 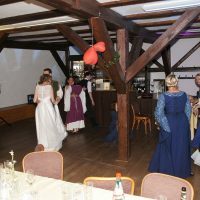 The bridal couple and all guests enjoy this atmosphere with all their heart, which is yet ennobled by harp sounds and singing. 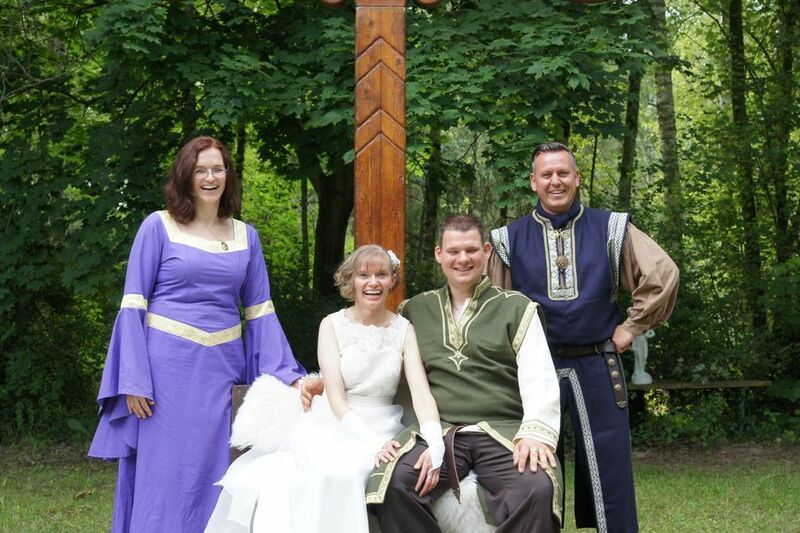 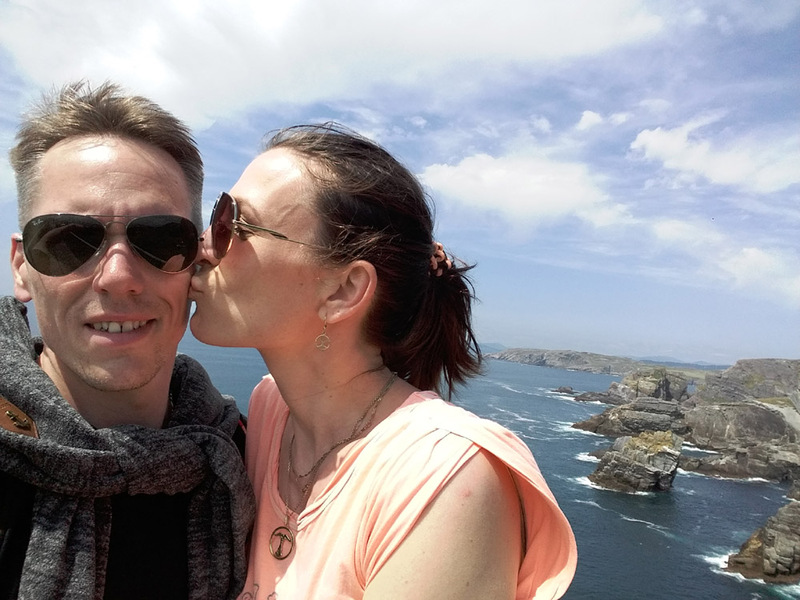 Dear Doreen, dear Martin, your friends wish you all the best for the future together! 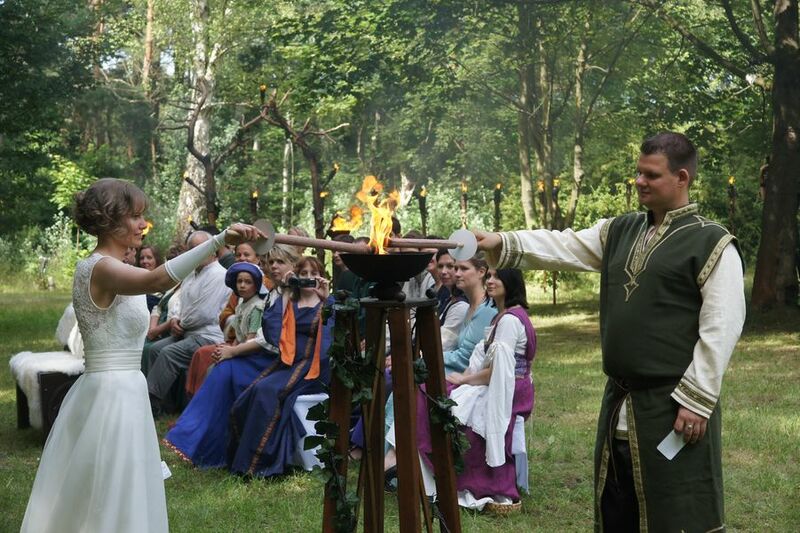 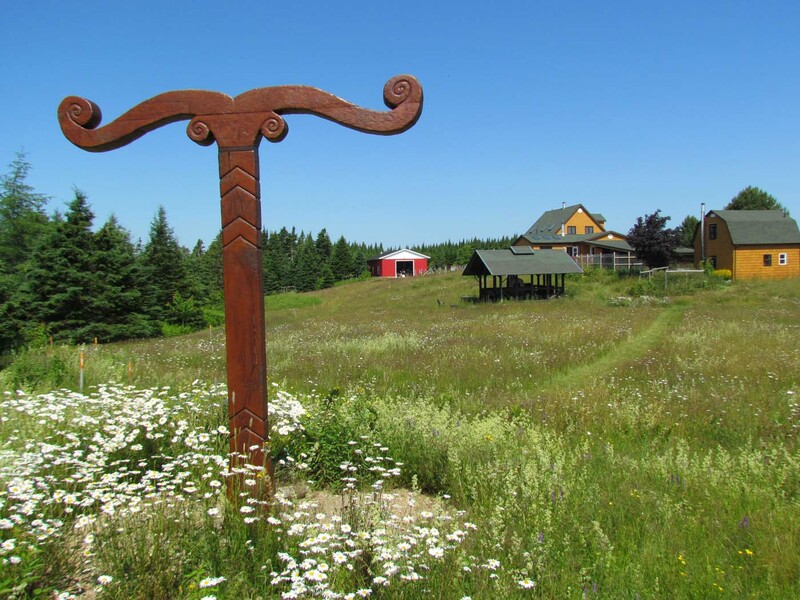 Good luck, harmony and of course the blessings of the ancient gods!